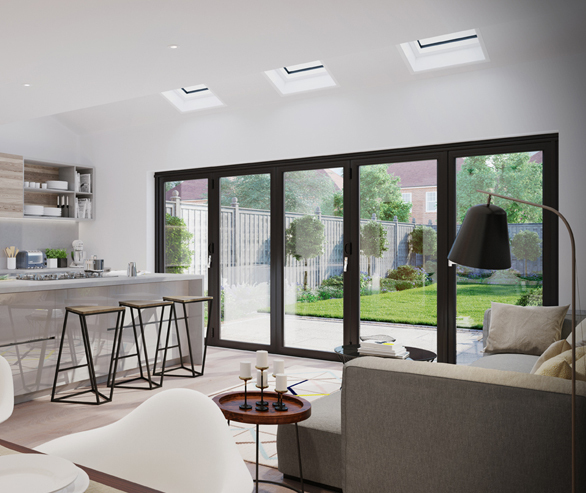 The result is an innovative “warm aluminium” frame construction, carefully dimensioned to provide an optimised 70mm front-to-back overall sash frame depth while ensuring market-leading thermal performance thanks to the multi-chambered insulating core. 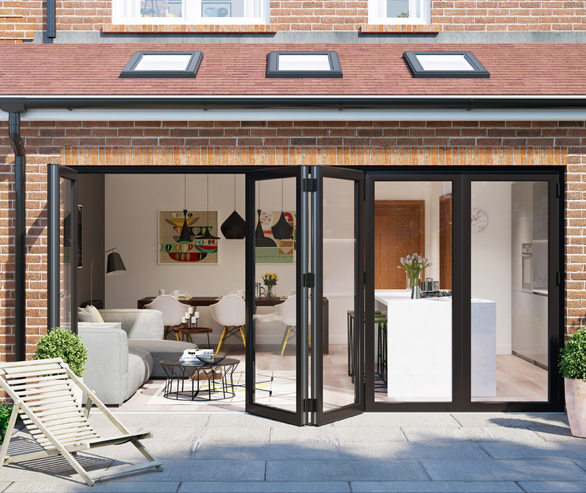 Precision-manufactured with a high quality surface finish and affording slim sightlines when installed, aluminium has become the material of choice for premium folding sliding door applications. 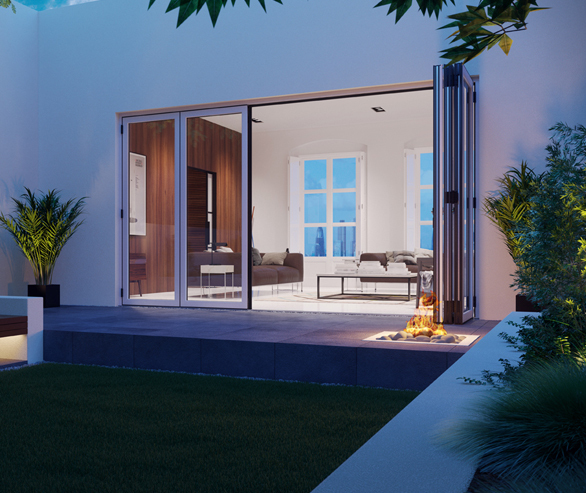 Warmcore doors utilise a composite of materials to ensure an end product that is energy efficient and recyclable combined with the premium quality, structural integrity and architectural design elegance of aluminium to create a product perfect for both residential and commercial building applications. 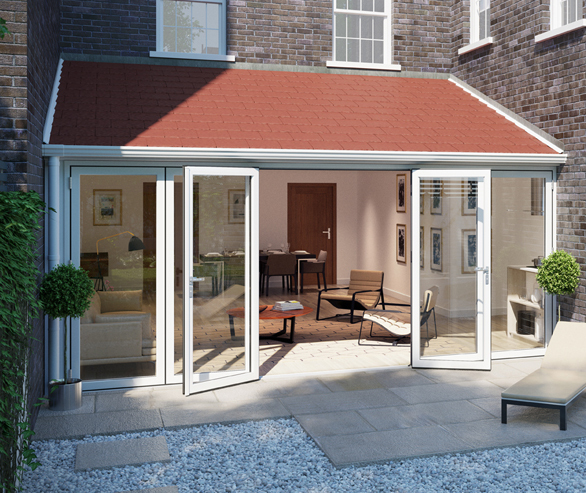 Warmcore doors can be glazed with 28mm double glazed units or 44mm triple glazed units. Glazing can be carried out with a choice of aluminium beads for a neat internal finish. 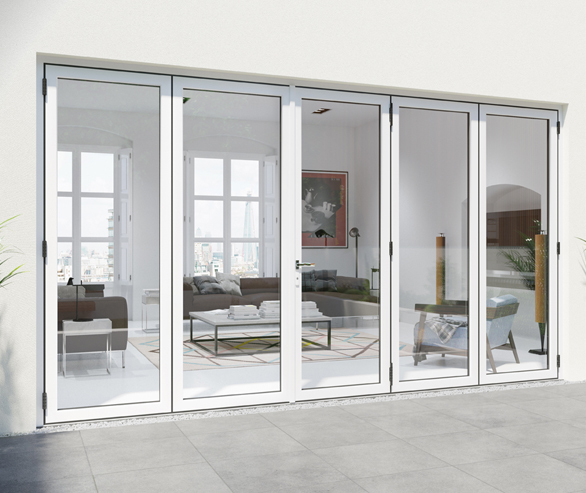 We recommend celsius glass, our exclusive range of high performance glass. Celsius clear is specially formulated for vertical glazing and offers an impressive thermal performance to complement warmcore.